Inventek Systems Introduces New Broadcom Based Serial-to-WiFi Module for the Internet-of-Things. 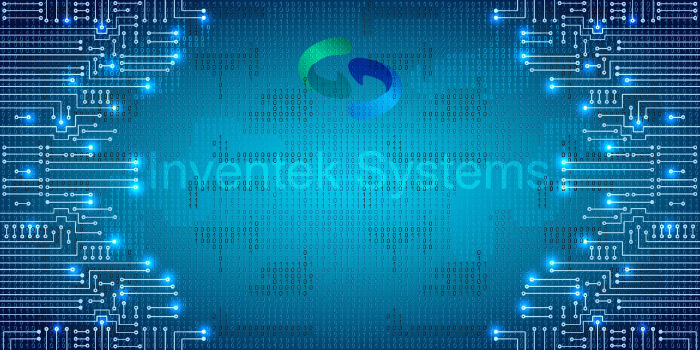 Feb. 13, 2013 – As the adoption rate of embedded Wi-Fi continues to surge, Inventek Systems is enabling this connectivity trend by offering FCC certified, easily integrated serial-to-WiFi modules that only require simple AT Commands for programming. The module is an ideal solution for manufacturers who are looking to add wireless connectivity to their products but do not have extensive WiFi and RF experience. The ISM43362-M3G L44 is enabled with Broadcom Corporation’s Wireless Internet Connectivity for Embedded Devices (WICEDTM) architecture. It supports 802.11 b,g,n Wi-Fi connectivity and can be configured by sending simple commands over the serial host interface (UART, SPI or USB). The simple- to- use AT Command Set significantly reduces the development and integration effort for design engineers to add WiFi connectivity to their products.The ISM43362-M3G- L44 module hardware includes the Broadcom BCM43362 IEEE 802.11b/g/n Wi-Fi System-on-Chip (SOC) component and STMicroelectronics 32-bit ARM Cortex M3 microcontroller. This STM32 microcontroller hosts the networking application software including the TCP/IP network stack and Inventek’s customized AT Command set firmware.Inventek Systems offers a family of serial-to-WiFi modules (eS-WiFi™ family) that support Broadcom Corporation’ s WICED™ platform. The option is available to use either Inventek’s AT Command Set firmware or Broadcom’s WICED APIs. When using Inventek’s AT Command Set, a low cost system microcomputer is used to send commands to the eS-WiFi module over a serial interface (UART, SPI or USB). When using Broadcom’s WICED platform, the on-board microcomputer is used for both the WICED firmware and system program. In either case, the module hardware is identical and consists of a Broadcom BCM43XX single chip wireless radio, embedded Cortex M3 Microcomputer and integrated antenna (or U.FL option) all on a 14.5mm x 30mm module with 44 LGA footprint or USB dongle. Inventek’s eS-WiFi modules build upon the WICED platform by adding another step in integration and ease of design-in. These AT Commands allow the use of simple instructions to establish connectivity and configure the module as a client, Access Point or web server and to send and receive data. Over 100 commands are now available and include a broad list of basic and advanced commands (e.g. Find, Scan, Join, Send, Receive, Run SoftAP, Direct Connect Mode, SSL Mode, etc.). The ISM43362-M3G- L44 eS-WiFi module development kits are available now from Arrow (www.arrow.com ) for $199. In volume production, the module is priced in the low to mid teens. For more information contact Inventek.